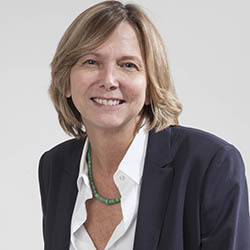 Nancy Barnes has been editor and executive vice president of the Houston Chronicle since October, 2013. The Houston Chronicle is among the largest newspapers in Texas with Sunday circulation of about 350,000, a daily circulation of about 200,000, and a large daily digital footprint across two websites, mobile platforms and social media. The Houston Chronicle won the 2015 Pulitzer Prize for commentary, the 2015 ASNE award for distinguished commentary, was a finalist for the Gerald Loeb award for business beat reporting in 2015 and 2016, and the IRE award for investigations off of breaking news in 2015 and 2016. It recently was awarded a 2017 National Press Foundation award. Prior to joining the Houston Chronicle, Barnes was editor and senior vice president of the Star Tribune Media Co. for six and half years, overseeing news reporting and content across all platforms. The Star Tribune won the 2014 Pulitzer for local reporting, among other national awards. Barnes joined the Star Tribune in 2003 as an assistant managing editor for business news and was promoted in 2005 to deputy managing editor over all news and investigations. From 1993 to 2003, Barnes was a metro editor and Sunday and enterprise editor for The News & Observer in Raleigh North Carolina. She has also been a reporter and editor at a number of mid-sized papers from Massachusetts to Virginia. She has an undergraduate degree from the University of Virginia and an MBA from the University of North Carolina.